The best movie news I have heard in weeks isn’t even about a movie. Coinciding with the release of The Dark Knight, Lego is releasing a Batman-themed video game. The Star Wars Lego video game series is the best video game I have ever played. 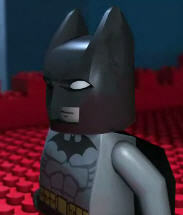 The teaser trailer for the Batman Lego game is up on Yahoo! Video. Check it out now.